Colorkitten's Action Blog: Happy Girl's and Ghoul's Day! 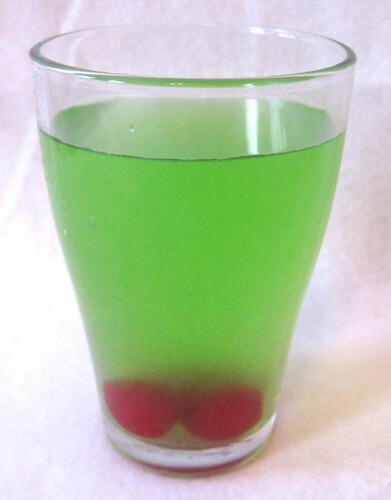 We made the official drink of Monster High, Ghoulia's Ghoul Juice -- it's a recipe you can win on the website by playing a game (or just look up online). Looking at the directions, I realized it was just lemonade with food coloring added, and a bit of baking soda thrown in for fizz. So I just used our normal lemonade recipe and colored it bright green. No gummy eyeballs were to be found in March, so we just used maraschino cherries -- and skipped the fizzy baking soda part. Seriously cool, and tasty as well! 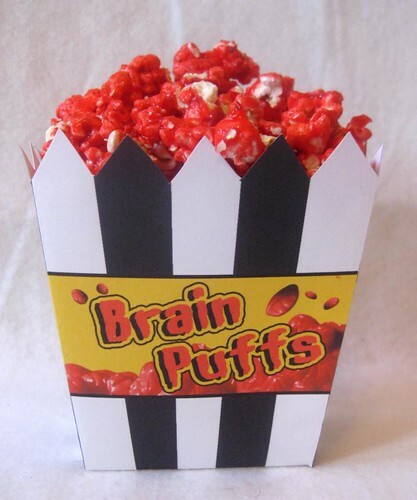 But the coolest looking snack had to be our Brain Puffs, based on a snack that the zombie girl, Ghoulia, has in her slumber party version. Emily thinks that popcorn looks a lot like brains, and I vaguely remembered saving a clipping from a 1960s magazine for making colored popcorn. I never did find the clipping, but luckily I remembered jello was involved and it turns out jello popcorn is a well known classic snack. 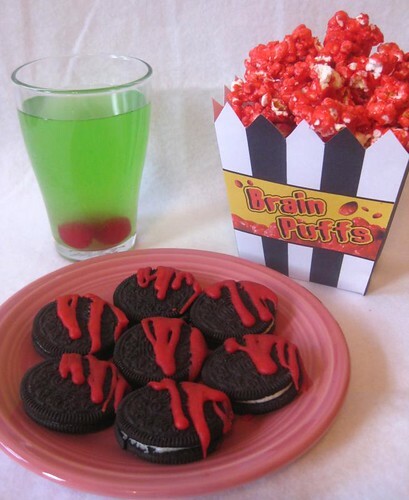 I used cherry jello and this recipe, made human-sized boxes and we filled them with our Brain Puffs! I have to admit, the candied popcorn was a little sweet for us. It does keep well, but with a box of bloody oreos in the house to go for instead it didn't really have a chance. And without the box, the spookiness is pretty much lost. 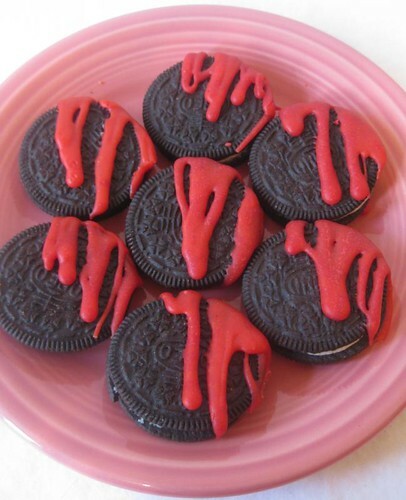 But the bloody oreos and ghoul juice will definitely be coming back for Halloween! Absolutely worth doing, maybe even glazing the whole cookie. Less rich than chocolate-covered but still super-fancy! 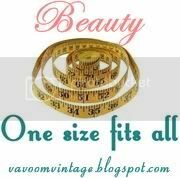 For you I suggest rainbow colors!